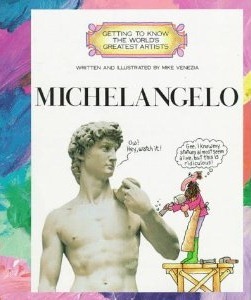 Welcome to our World’s Greatest Artist study on Michelangelo! Michelangelo di Lodovico Buonarroti Simoni was born in 1475 in in Rome, Italy. He was an Italian Renaissance painter, sculptor, and architect, and poet. His two best known works are Pieta and David were completed before he was 30 years old. He also created two of the most influential works in fresco in the history of Western art. 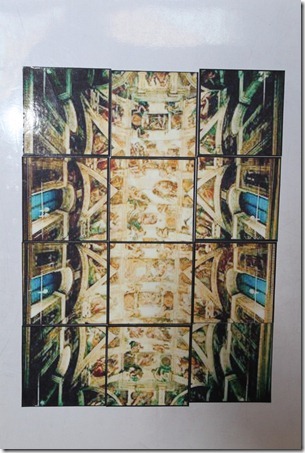 The scenes from Genesis on the ceiling and The Last Judgment on the alter wall of the Sistine Chapel in Rome. His impassioned and highly personal style resulted in Mannerism, the next major movement in Western art after the High Renaissance. Mannerism is noted for its intellectual sophistication as well as its artificial (i.e. : highly stylized poses) qualities. 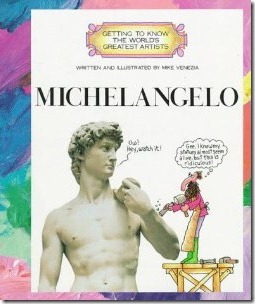 We took a few lessons to read through the Michelangelo World’s Greatest Artist series by Mike Venezia. Describe what we see in this work of art. How do they think the artist was feeling when they created it? Why? How it makes your student feel looking at it? Does the use of color help convey mood? Is there something unusual or unique about the piece of art? What kind of style and medium did the artist use in this work? Overall do you like the painting, if so yes, why? If no why not? 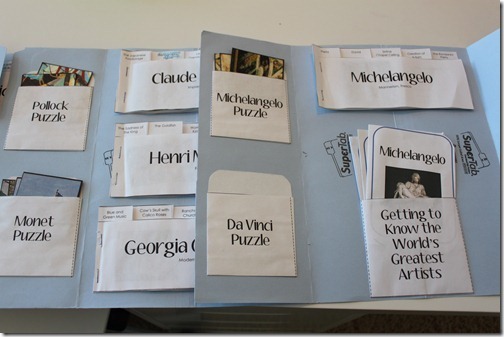 As we read through the book and learned about the different paintings, we added them to our Michelangelo tabbed booklet, and added that to our World’s Greatest Artists Lap Book. 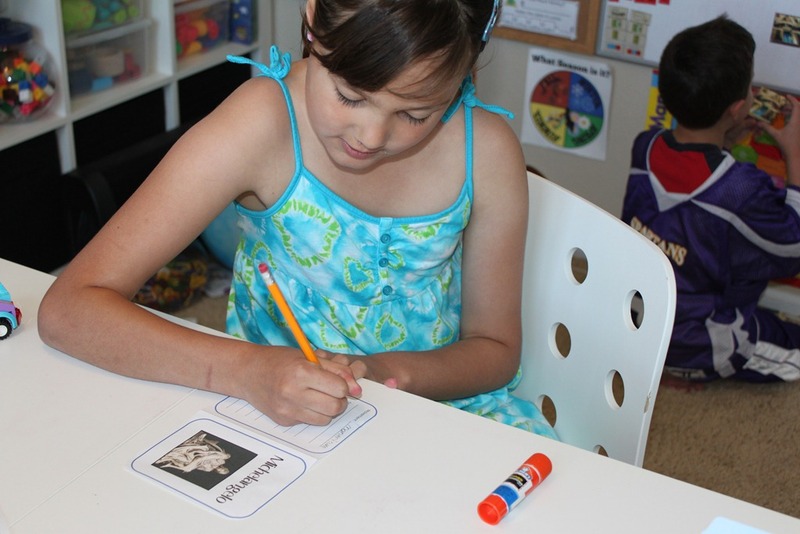 Since Strawberry Shortcake has the best handwriting, she is usually recruited to fill in our Artist flashcard. That’s Turbo working on the puzzle of the Sistine Chapel in the background. 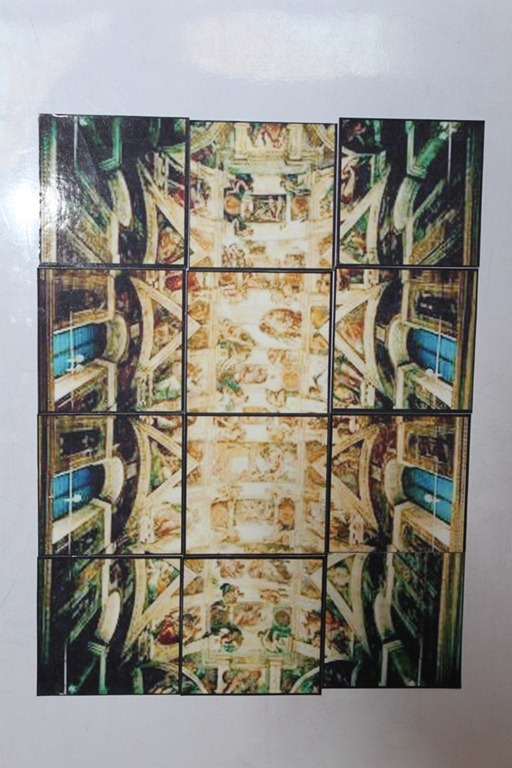 Here is our puzzle, the Sistine Chapel ceiling. Yikes! This one was very difficult, we had to pull back out my curriculum and look at it to be able to do the puzzle! After that we did a soap carving craft in an effort to see just how much work Michelangelo put into his sculptures. 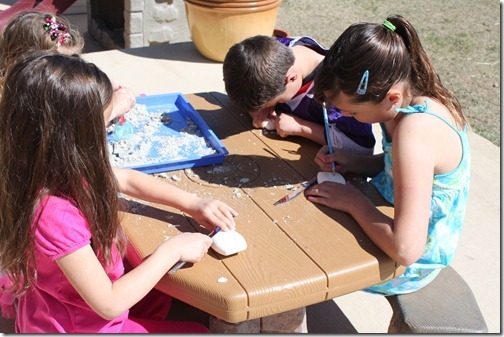 We were carving out of soap which was relatively easy to do, but very time consuming! 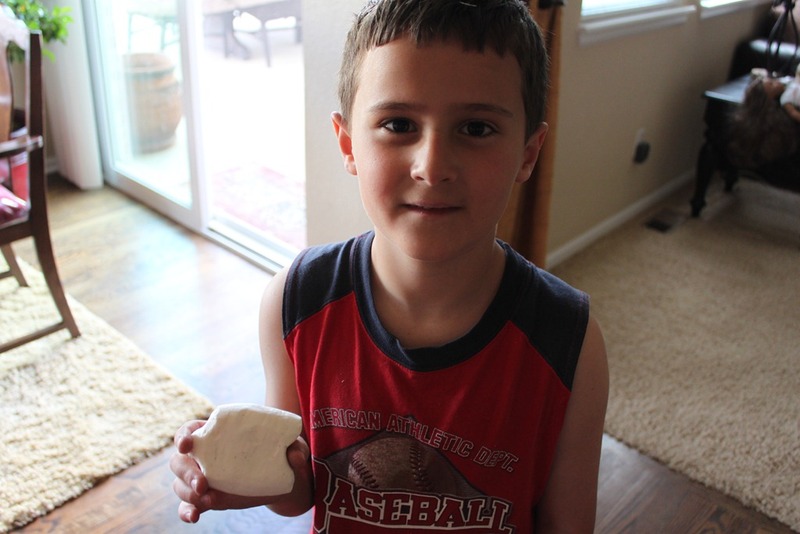 We discussed how difficult it had been to carve such beautiful sculptures out of marble as Michelangelo did! 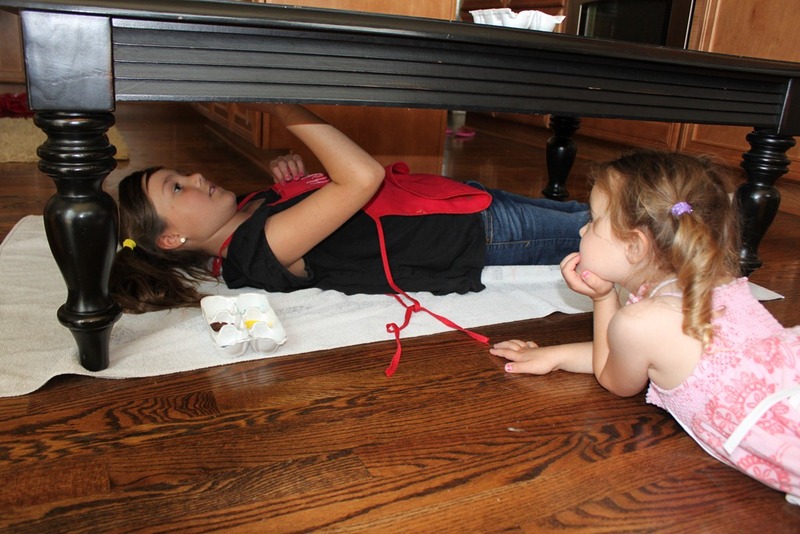 They worked for quite awhile on this project. We even had a few fatal mistakes that caused us to have to start over from the beginning. Turbo came out of the thing with a fish sculpture. 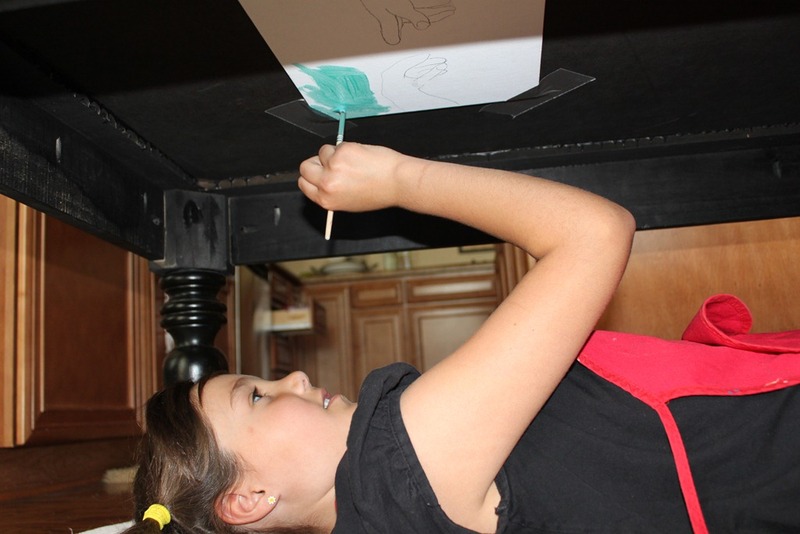 We also did an upside down painting activity to mimic what it might have been like for the four years of Michelangelo’s life that he spent painting the Sistine Chapel in Vatican City! 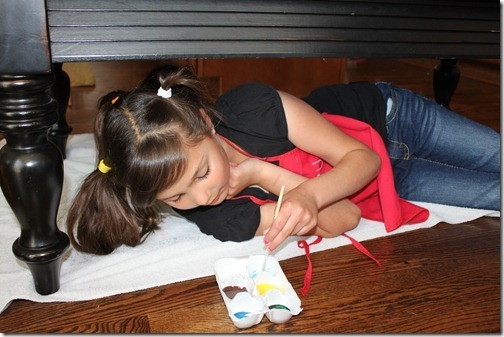 She said the hardest part was mixing her paint colors. She also noticed right away that if she used too much paint it would drip down along her hands, and into her face! Once she got the hang of it though she liked it, said it was relaxing. The Teeny Tot stopped by to observe. She noted the exceptional job Strawberry was doing. Here is her finished piece. We just did a small part obviously! 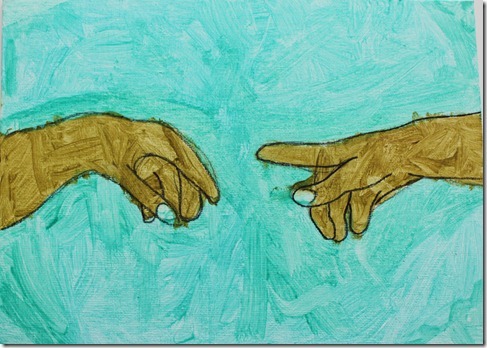 I had her trace a rough outline of the Creation of Adam with pencil before she started painting. We used tempera paints, and then outlined the hands with a black sharpie once she was done. If you haven’t been following along, this year for art, we are going to study 8 different world famous artists. We have chosen to do art twice a week, and are covering one artist each month. 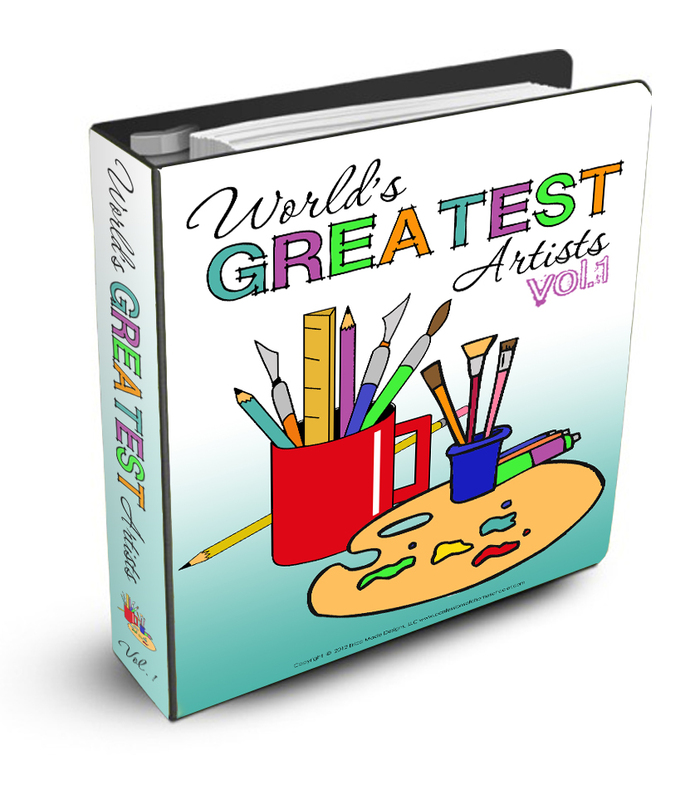 We’re currently using my World’s Greatest Artists Vol. 1 curriculum! 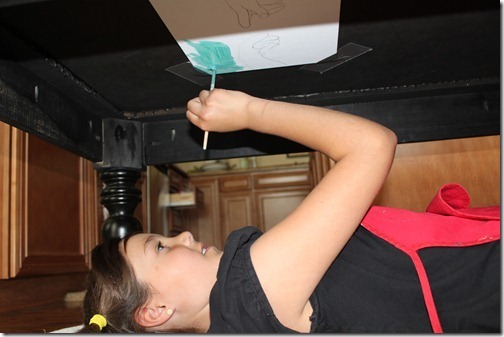 Love the painting on the underside of the table on her back idea! Michelangelo actually stood on an elaborately designed platform as he stood to paint the Sistine chapel ceiling. So he didn’t actually lay on his back as is commonly thought. He wrote poetry about how he ached as a result of his labors. I can imagine why! Yes, the kids know he was on a platform, but I couldn’t quite work it out like that in person LOL! I’m sure he had horrible neck issues! I love the craft and painting activities you did, so wonderful to bring learning to life. My boys would love this! What a great unit study!! That looked like it must have been so much fun. Thank you for the free study. I am going to try it out with my little artists. Blessings! Sade. Love this! 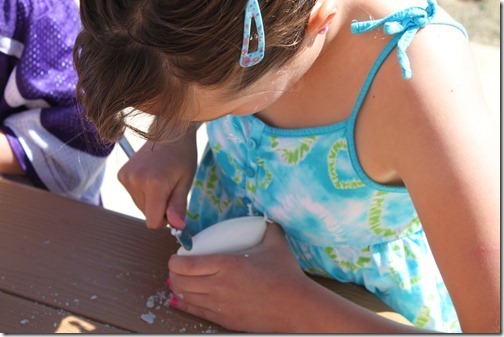 The soap-carving and table-painting make it look so fun.! I’ve downloaded your study and we will be starting with Picasso, since that is the only book my library had. Looking forward to it. This art study is amazing. Thank you for sharing it with your readers. I would like to print off the artist puzzles. 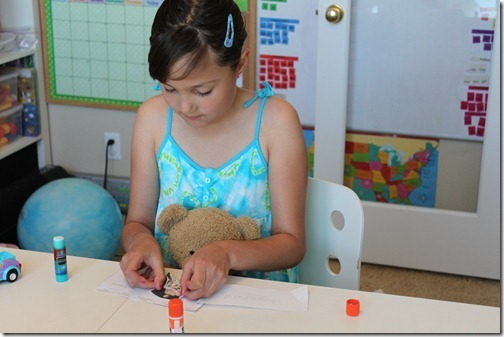 What kind of magnetized sheets did you use to print them off on? I remember reading it somewhere on your blog, but can’t seem to find the name. Is there a reason why they particularly combined into unit 1 and 2? My library doesn’t have all the books for unit 1, so I thought of mixing the units up. No I just broke them up into two units because I had more artists than one could get through in one year.